- This track is an other famous track, from 1998. 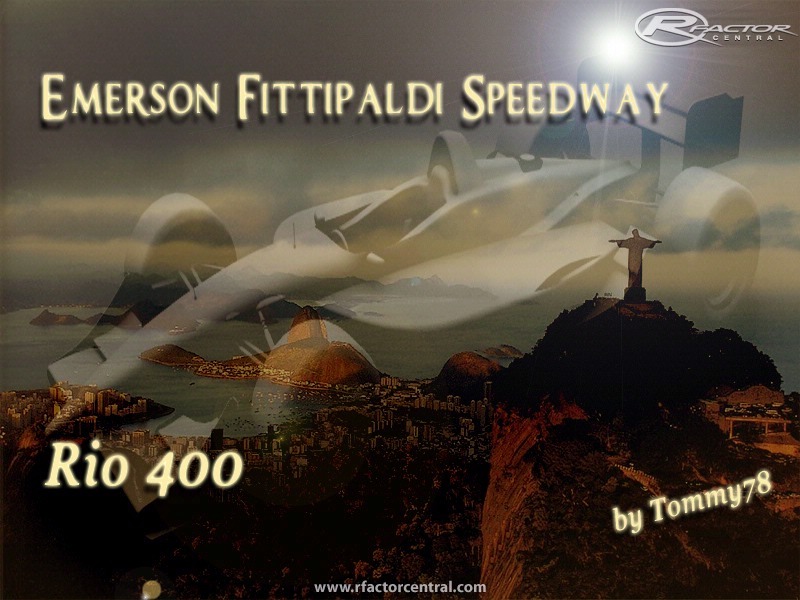 - This is Emerson Fittipaldi Speedway, it was part of the CART 1998 Championship. It was the Rio 400, the fifth race on the '98 calendar. - It's a trapezoid-shaped speedway circuit, approx 3km (1.875 miles) The speedway is part of the Autódromo Internacional Nelson Piquet race track also known as Jacarepaguá, but the speedway named Emerson Fittipaldi. Special Thanks for Carrera.4 the background Landscape from Jacarepagua88_C4 track. There are currently no setups for Emerson Fittipaldi Speedway Rio 400 1998. Add a Setup. If you set your track detail to low it works fine online. When i'm trying to launch this track, there is an error message, that MAS file isn't well. A great track, beautifully done. A terrific ride. Thanks. Trying it online as a test for our league, we get: "Track Geometry" mismatch. It's not possible to pull out of the pit garage. I note that in viewing the replay cap, the car sits at an odd angle to the ground, canted over to the right by about 15-20 degrees. Any chance of a fix for this? We're just itchin' to get this one working. Wonderful track...thank you for posting it. Out of curiosity I noticed some of the infield road course was modeled... will this be completed or is it just for show? I have downloaded the track several times. But each time I try to open it I get a messgage its an invalid rar file. I have never had any problems opening a zip or rar files before. Thanks for an excellent track. I always hoped someone would do Rio. Great job!! It reminds me of the 3 CART races I've saw there...sadly will be only memory as the whole autodrome, who also served for F1 on the 80's, was reduced to sh*t.